This week, two visitors arrived at Glenside Hospital Museum bearing gifts. The items relate to Phyllis Davis, who had trained and worked at Glenside Hospital between 1931 and 1938. Phyllis was born in 1911 in Tonypandy, Wales. She left the Hospital in 1938, shortly after marrying a man she met in the Old Tavern pub opposite the hospital. At the time of their meeting, he was visiting his parents in Bristol from Derby where he worked for Rolls Royce – his father was the Chief Customs officer for the Port of Bristol. The couple moved into a brand new house in Filton, which they bought for £350 – not an insignificant sum at the time! Phyllis is pictured below, on the far left (sitting). 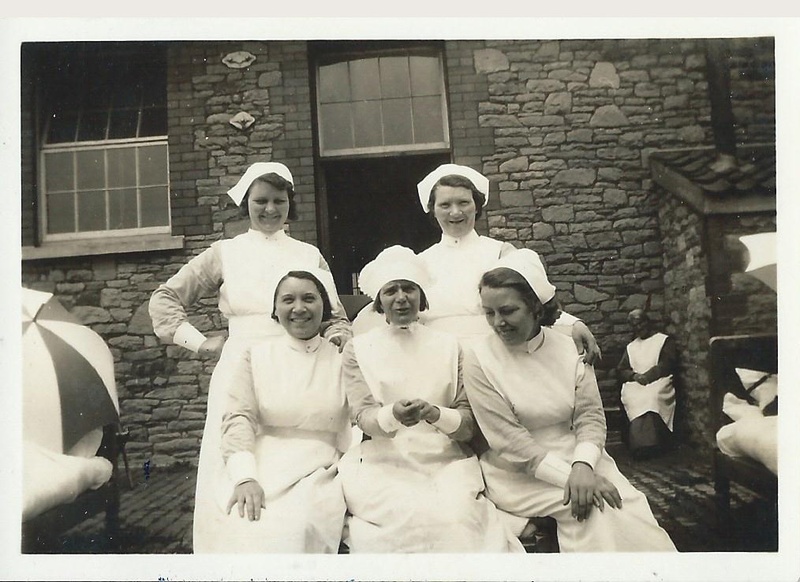 Thanks to our kind visitors, we now have four black and white photographs of various nurses, giving a real insight into their day-to-day lives. One of the photographs – which we cannot share due to patient confidentiality – features Hollywood start Cary Grant‘s mother Elise Leech. She was admitted to Bristol Asylum on 3rd February 1915. Cary Grant was not aware that his mother was in the Asylum, and when he found out he made arrangements for her to leave in July 1936. 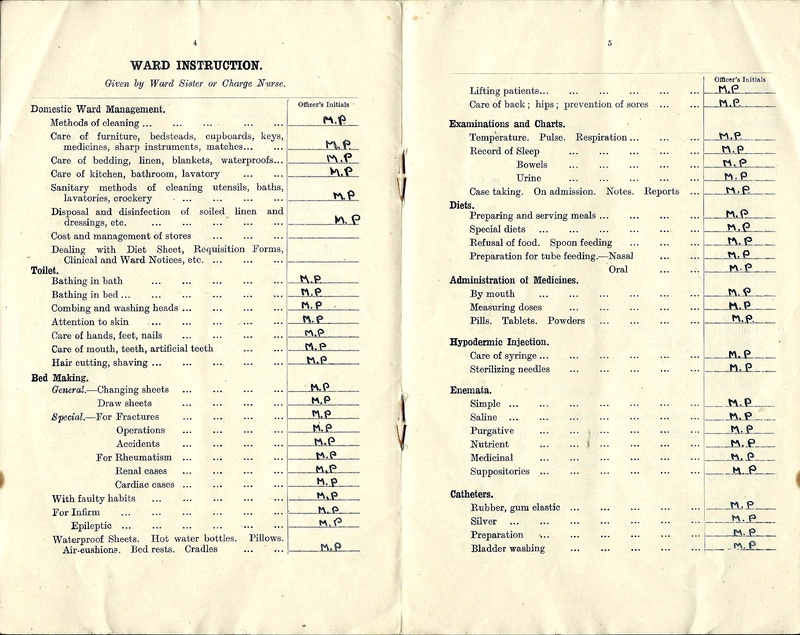 Glenside Hospital Museum is full of fascinating objects like these relating to the lives of patients and staff at Glenside. We’re open Wednesday and Saturday mornings, so why not pay us a visit this week?